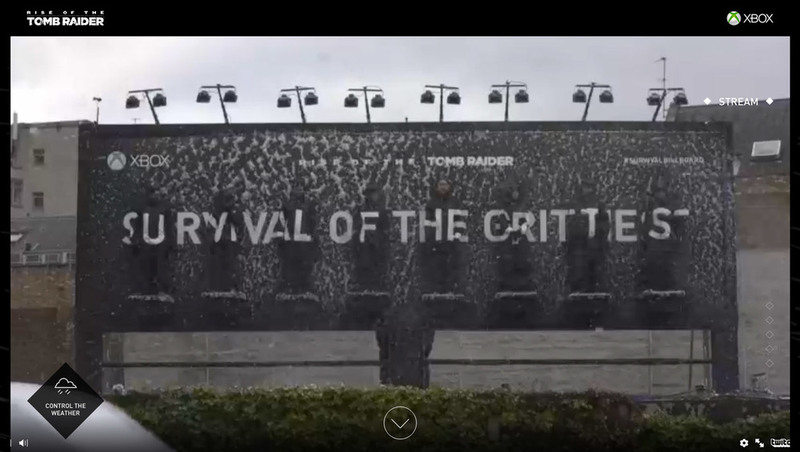 Currently a live campaign (as I type) for the new 'Rise of the Tomb Raider' game, Xbox is challenging eight Lara Croft fans to survive 24 hours on a billboard, whilst being subjected to the harshest weather conditions possible, as voted for by the public via the interactive, live stream, website. The idea comes from McCann with the inspiration from the serious weather conditions of Siberia that Lara Croft faces in the newly launched game. The winner will win a Tomb Raider inspired trip of a lifetime.